Accepting applications for ALL locations. 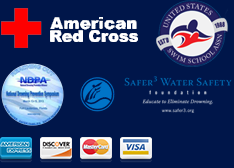 Making Waves Swim School started in 1998, and has grown steadily with 28+ convenient locations throughout New Jersey. We only conduct lessons in heated indoor swimming pools so our programs run all year round. Our swim instructors have proudly taught over 400,000 swim lessons – and counting! Are you a great fit for Making Waves? We are looking for reliable, energetic, experienced and personable individuals to join our team. The right candidate will have a GREAT attitude, provide excellent customer service, and maintain a positive relationship with clients, associates and coworkers. The ideal candidate will have the desire to conduct fun and engaging swim lessons for our students. Our most successful instructors are also our most reliable, as our student’s progress is dependent upon continuous weekly lessons with their dedicated instructor! *Our office handles client scheduling, accounts, and billing, so you don’t have to! * Four bonuses a year for meeting and exceeding expectations. * Medical benefits available for full time instructors. * Max of 1-2 swimmers in the pool! You can focus on teaching your students! Keep in mind, training and certification are available, so please contact us for additional information.